Tiny is my kids favorite! Dino my kids favorite! And we are excited ride on Dinosaur train. My grandkids think a T-Rex is the ultimate dinosaur so Buddy is their favorite. Twitter follower. Here's my tweet. 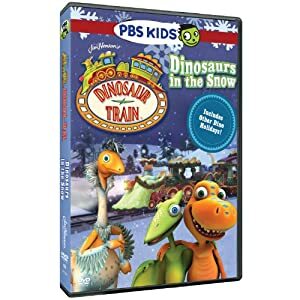 My kids favorite Dinosaur Train character is Buddy. My daughter just started watching this... I think she likes Tiny best! I love Tiny. My son loves dinosaur train! Buddy the T-Rex is my fav. Oh, it's Buddy all the way for me! I think Buddy is really cute. Tiny is the kids favorite. My son likes Tiny best! Congratulations to the winner: #43, Patty!